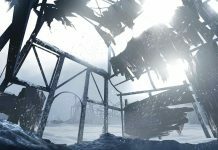 SCUM is set in a not too distant future where corporate PLC’s have taken control of the world and our obsession with entertainment has led one megacorp ‘TEC1’ to commission a unique programme where prisoners and the more fanatical viewers are sent to remote areas to survive against the elements, and each other. 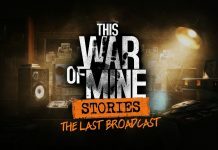 “a multiplayer open world survival game with unprecedented levels of character customisation, control and progression where knowledge and skills are the ultimate weapons for long term survival”. 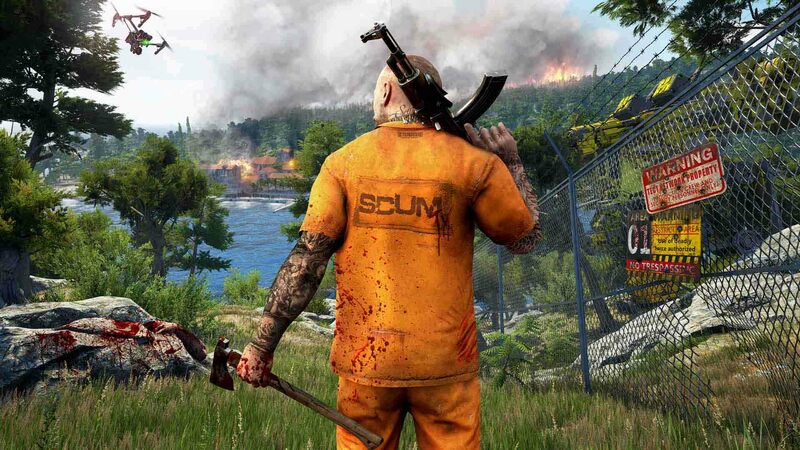 The game is yet to enter early access with the first gameplay footage recently released showing un-armed combat, so what else do we know about SCUM. Slim Jim or Billy Beefcake, choice is yours. While you can choose between several avatar types with options of race and gender, these are just visual representations and don’t influence the characters performance. Everyone starts out in the standard prison gear and will need to scavenge alternative clothing to help protect them from the cold, rain and weather. Camouflage gear also helps reduce the players visibility. When starting out you are given a small pool of points that can be allocated over four attributes: Strength, Constitution, Dexterity and Intelligence that impact how your character will perform and react in the game. Strength: Stronger characters will be able to carry more weight, move heavier objects and do more damage in melee combat. The down side being that the character will expend calories at a faster rate. Constitution: This impacts your health, stamina and endurance, giving higher skilled players increased HP. This also impacts the likelihood of your character succumbing to annoying things like stress or poison. Constitution slows the rate of calorie burn. Dexterity: Focused on improving your movement speed. Dexterity reduces the time it takes you to eat, craft and reload weapons. In an interesting twist, it also improves the chance to successfully perform complex tasks like surgery or fixing electronics. Intelligence: Characters with higher intelligence will have better aim as well as extra skill slots and the capacity to learn skills faster. Depending on how you choose to distribute your starting points can mean the difference between a tanky brawler, a lithe knife specialist, or perhaps just a sprint merchant for fast getaways! All of these can be increased or decreased for a limited time, drugs for example may have a positive or negative effect. Permanent changes are possible through diet and certain activities, but only if you survive long enough for your body to evolve. Intelligence is the exception, as it can only be negatively influenced if say for example, you incur a nasty head wound. There appear to be more specific skills like Stealth and Rifle skills that you can ‘insert’ or learn over time. For the rifle skill, higher levels give you better aim and reload speed as well as more efficiency in maintaining and repairing your weapon. The stealth skill works as expected, higher levels mean you are less likely to be spotted; although smell as well as site needs to be considered. You might want to take a wash or just take note of which way the wind is blowing. 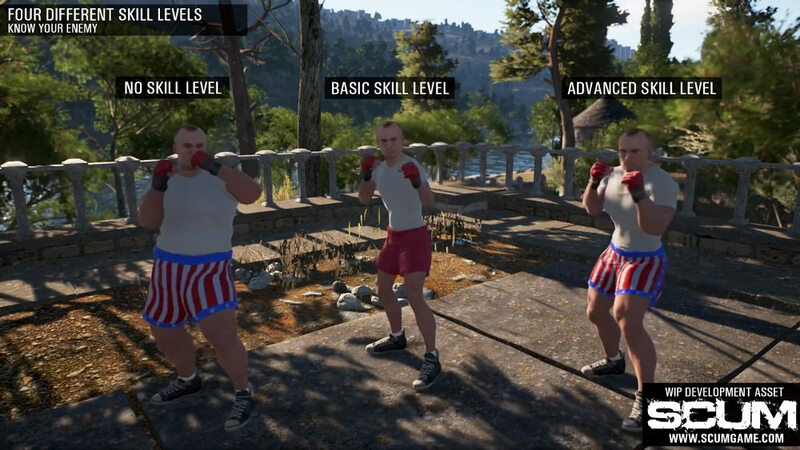 It looks like SCUM will be focusing more on hand to hand combat with a more fluid MMA approach where agility and movement speed will be as effective as brute strength. 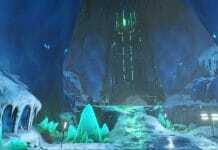 As you increase in skill, more complex actions and combos become available allowing you to do more damage. There are four levels from no skill to advanced and these are reflected in the different animations, helping you visually gauge the skill of your opponent. To add another layer of complexity, the clothing and gear that you are wearing can also hinder your ability to punch or dodge, depending on how heavy it is. Gamespires are showing real intent to create a game with a new level of realism and complexity when it comes to your character, even to the point where they use body weight and fat%, both of which you can change through in game actions, has an impact on your inertia. From what we have seen, the setting of Bagne de Cayenne island, based on real Croatian islands, is beautiful and the scenario is certainly different. What’s not clear at this stage is whether this is will evolve into more of an RPG Battle Royal style game or stay true to its advertised goal of being a story driven survival game. As always time, or in this case, Early Access will tell.